MPT started out of frustration in attending the same old one day training wonders where you were force fed as much as you could handle in a day only to forget most of it within 24 hours and so received minimal return on investment. Put up or shut up is our philosophy, so we decided to put up and provide an alternative suite of training and development solutions that really deliver. 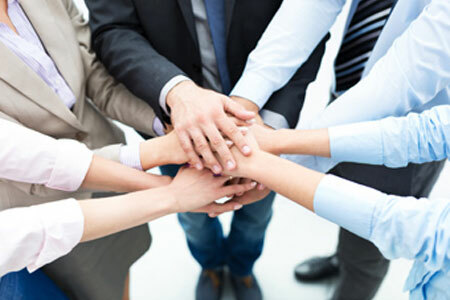 The MPT Partnership team train and develop individuals, teams and organisations from schools to global businesses utilising the right approach helping them to achieve sustainable performance improvement. Though based in Surrey the team works locally, regionally, nationally and internationally specialising in leadership training, management team building and development, sales development, customer care , wellbeing and change development, coaching, facilitation and mentoring. We design, develop and deliver training and development solutions for effective leadership, management, organisational improvement, increasing customer delight, developing high performing teams, selling with confidence, Investors in People, employee engagement and many tailor made projects. Training courses and programmes can be tailored to meet your identified training and development needs aligned to personal, team and organisational goals. This video demonstrates how a manager used a Management Academy exercise and turned it into a team building event. Everyone wins!